Namibia, also referred to as “The Gem Of Africa”, remains a largely untapped, dazzlingly beautiful hub of adventure. A true sense of oneness with nature can be found in Namibia. With her majestic dunes, vast, unspoiled wilderness, rich game, and one of the lowest population densities in the world, Namibia has earned her place as a beloved safari destination. But there is so much more to this unique country and Eye See Africa have unearthed some of the rarer facts it has to offer, so hop onto a 4×4 and join us for the ride. Namibia is home to the largest single piece of meteor on earth. The Hoba meteorite, also known as the Hoba West meteorite, is a 66-ton iron meteorite which is the largest single piece meteorite made up of Iron known on the surface of the Earth. 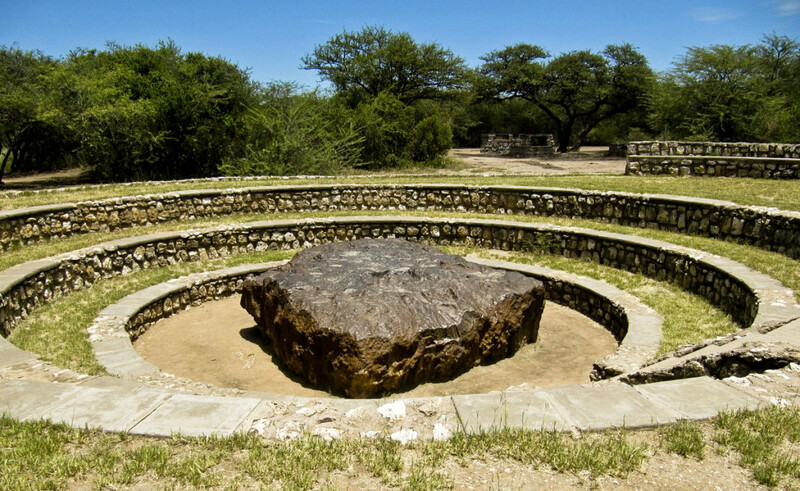 The Hoba meteorite impact is thought to have occurred more recently than 80,000 years ago. Namibia lies across the Tropic of Capricorn in the south of Africa and covers an area of 824,292 square kilometers (318,259 square miles), making it slightly more than half the size of Alaska and 3 times the size of Great Britain. It is bordered by South Africa to the south and southeast, Botswana and Zimbabwe on the east, Angola on the north, and the South Atlantic Ocean on the west. The Caprivi Strip, a narrow extension of land in the extreme northeast, connects it to Zambia and Zimbabwe. The country is divided into 3 broad zones: the Namib desert to the west; the Kalahari desert to the east; and the Central Plateau. The plateau—made up of mountains, rocky outcrops, sand-filled valleys, and undulating upland plains—covers over 50 percent of the land area. The Ovambo and Kavango people together constitute over 60 percent of the population. Other groups are the Herero, Damara, Nama and the Caprivians. 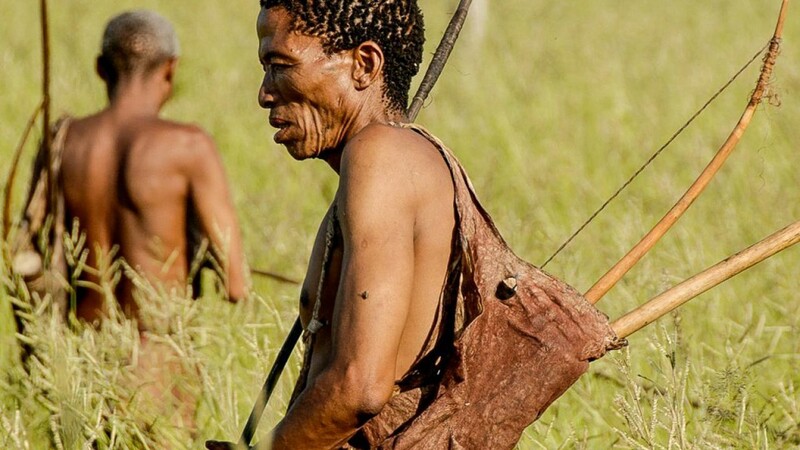 The San (Bushmen)—who are among the world’s oldest surviving hunter-gatherers—have lived in this territory for over 11,000 years. The Basters who settled in Rehoboth in 1870 stem from marriages between white farmers and Khoi mothers in the Cape area. The “Cape Coloreds,” immigrants from South Africa, tend to live in urban areas. Of the white group of approximately 90,000, about 50 percent are of South African and 25 percent of German ancestry, about 20 percent of the latter Boer “sudwesters” (longer established immigrants) with a small minority of British ancestry. The population is mostly Christian. English is the official language but is first or second language to only about 20 percent of the population. 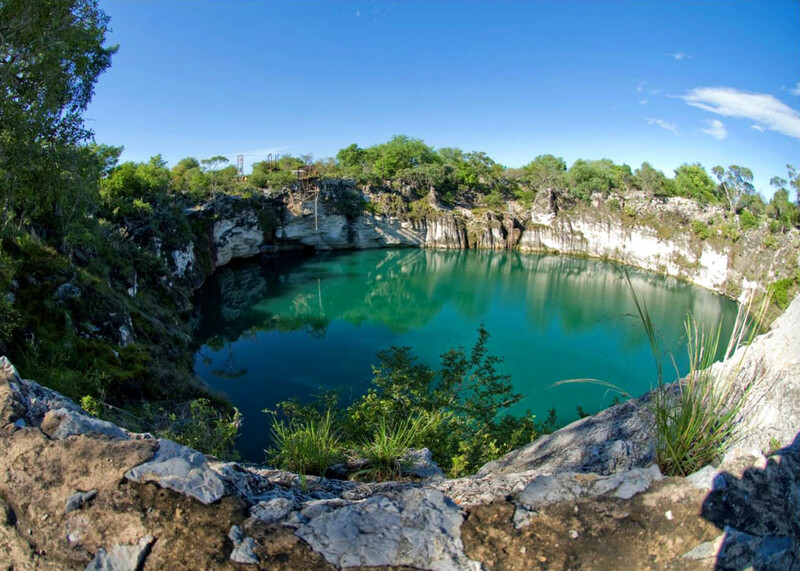 46km northwest of Grootfontein in the Kalahari Desert lies the Dragon’s Breath Cave, home of the largest non-subglacial underground lake. Its depths have only been charted to around 100m and its water is crystal clear. The lake’s zero-sunlight conditions limit photosynthesis and because of these unique conditions, it is an ideal spot for one of the world’s rarest and most isolated species, the Golden Cave Catfish. These catfish are critically endangered – there are an estimated 150 of them and all live in the Dragon’s Breath Cave. The Namib Desert, stretching 1,000 miles along the Atlantic coast of Southern Africa, is believed to be the world’s oldest desert having been arid for at least 55 million years. The Namib Desert is home to a number of unusual species of plants and animals that are found nowhere else in the world. Dense fogs along the coast and the freshwater they contain are the life essence of the Namib. The dew that condenses on desert grasses and on the bodies of smaller creatures is what sustains many of these animals. Others take advantage of the few muddy water holes, which may draw gemsbok, ostriches, sand grouse, vultures, and warthogs. Most of the animals and plants that survive in the Namib do so by unique adaptations. The gemsbok, for example, also known as the oryx, has a lighter coat than any long-horned antelope subspecies and an intricate system of blood vessels and nasal passages that cool its blood before it reaches the brain. They dig for underground water, drink from watering holes, and feed in the early morning on plants with high moisture content. Its numerous adaptations allow it to tolerate high temperatures and go days without water. Man has made so little impact on Namibia’s landscape that it can be said that Namibia truly reflects nature in its original form. Namibia is the second least densely populated sovereign country in the world, after Mongolia. However, when driving around in the Southern part of Namibia, it feels like there is no one around at all. 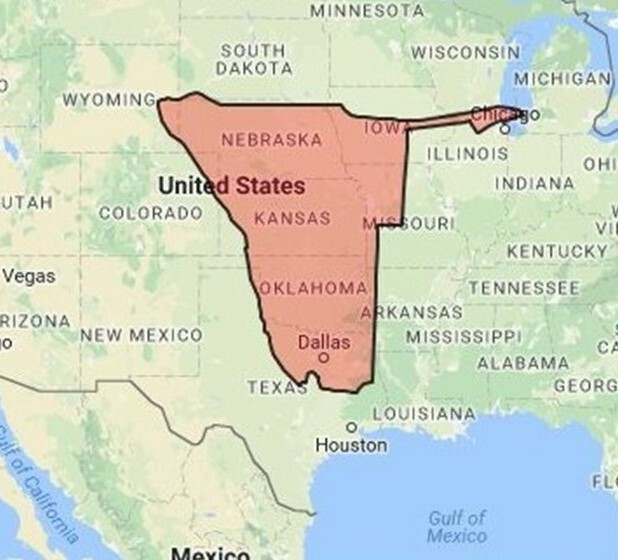 Most of the population lives in the central and northern part of the country. The advantage with this lack of human habitation is that you come across incredible, breathtaking scenery and landscapes. Cheetahs are famous for their speed and agility but are also one of Africa’s most endangered big cats. Their numbers have declined by 90% over the past 100 years, dropping from 100,000 to only approximately 10,000 today. The main reasons for the decline are human-wildlife conflict, disappearing habitat, and loss of prey. 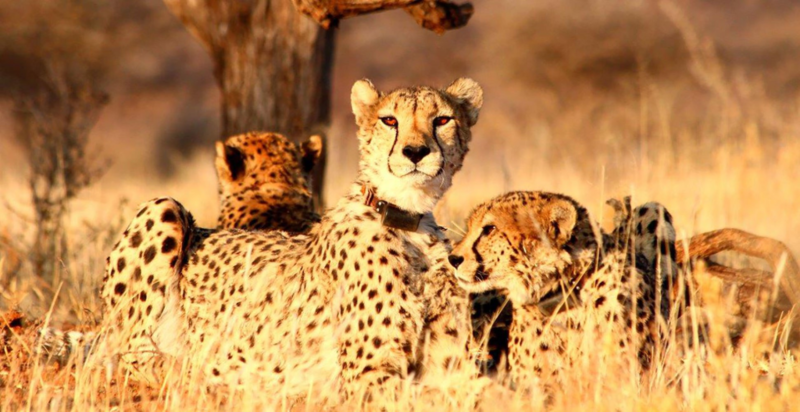 Approximately 2500 – 3000 cheetahs are living in Namibia. Namibia has the largest remaining population of cheetah anywhere in the world, with 25% of all cheetahs living within its borders. The three pillars of conservation, namely ministry, private sector and non-government organizations have joined forces to work together, to increase awareness of the plight of the cheetah and to find solutions to the conflicting interests of farmer and predator. Research into cheetah numbers, distribution and behavior, runs parallel with wildlife education for children and workshops for newly emerging farmers. 71 communal conservancies cover 18% of the country. Add to that figure national parks, community forests, and freehold conservancies, and 42% of Namibia is under conservation management. Dune 7 is found in the Erongo region of Namibia and is the highest sand dune in the world. 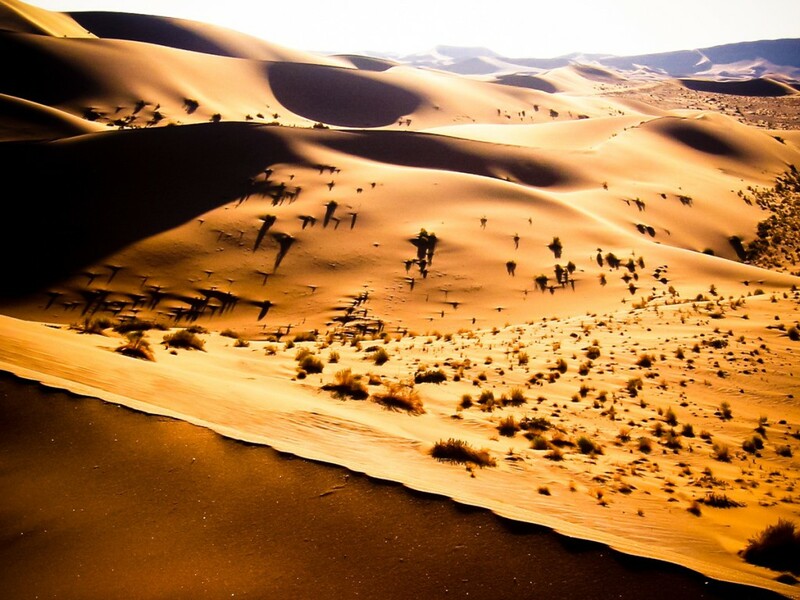 It is located in the Namib desert and one can enjoy the sheer thrill of the dunes with quad-biking and sand-boarding being some of the exciting activities to part take in. Dune 7 – The 1,256-foot dune got its name because it is the seventh dune past the Tsauchab River, which runs through part of the Namib Desert. Sossusvlei is a salt and clay that is surrounded by the high Namibian sand dunes in the southern part of the country, that at is only accessible with 4WD vehicles. Big daddy is the highest sand dune in the Sossusvlei area , and it is 325 meters high. 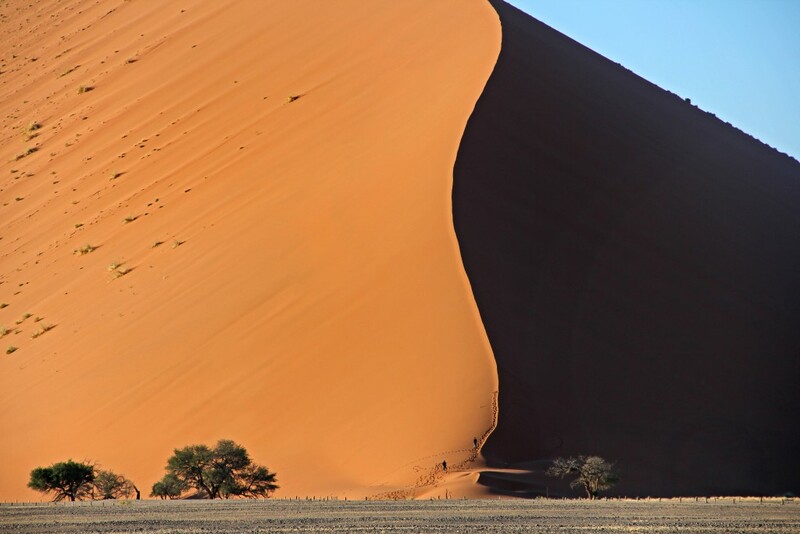 Another famous dune in the area is the star shaped 80 meter high dune called, Dune 45- due to its proximity from the Sesriem gate into the Sossusvlei area. 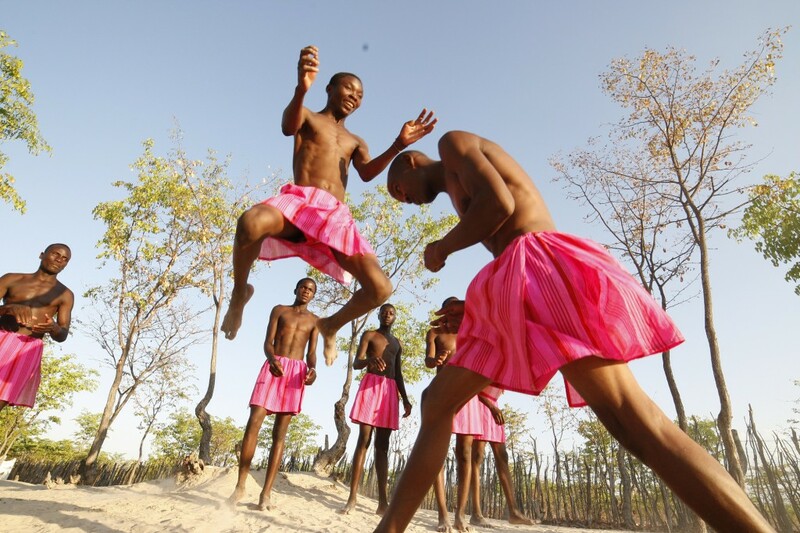 The Owambo people are synonymous with Namibia and are the largest cultural sector found in this country, representing over a third of Namibia’s total population. Concentrated mostly in the north, the Owambo consist of eight tribes, namely the Ndonga, Kwambi, Ngandyela, Mbalanhu, Nkolonkadhi and Unda tribes. While Namibia is more famous for being the home of the Namib Desert, it must be remembered that much of eastern and southern Namibia is covered by another – the Kalahari Desert. The Kalahari Desert is a large semi-arid sandy savannah covering much of Botswana, parts of Namibia, and regions of South Africa. 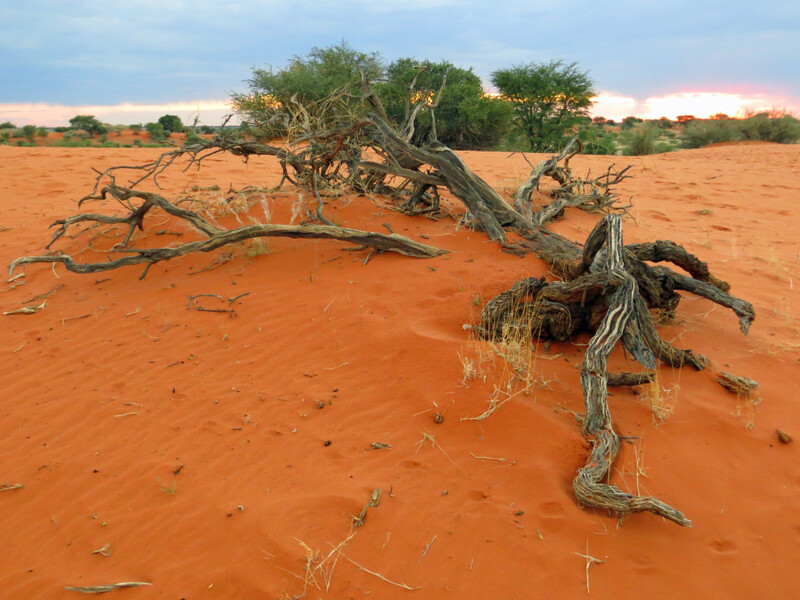 The Kalahari is not a true desert as it receives too much rain, but it is actually a fossil desert. So do not expect to find the tall sand dunes associated with Sossusvlei, the landscape is more one of golden grass and small red dunes. A country filled with striking and dramatic natural beauty, Namibia is home to the vast Namib and Kalahari Deserts, the Fish River Canyon and the Skeleton Coast. If your interests lie in diverse wildlife, serene landscapes, and discovering new adventures and cultures, Namibia offers unforgettable experiences found nowhere else on earth!